with illustrations by Hilary James and featuring augmented reality. 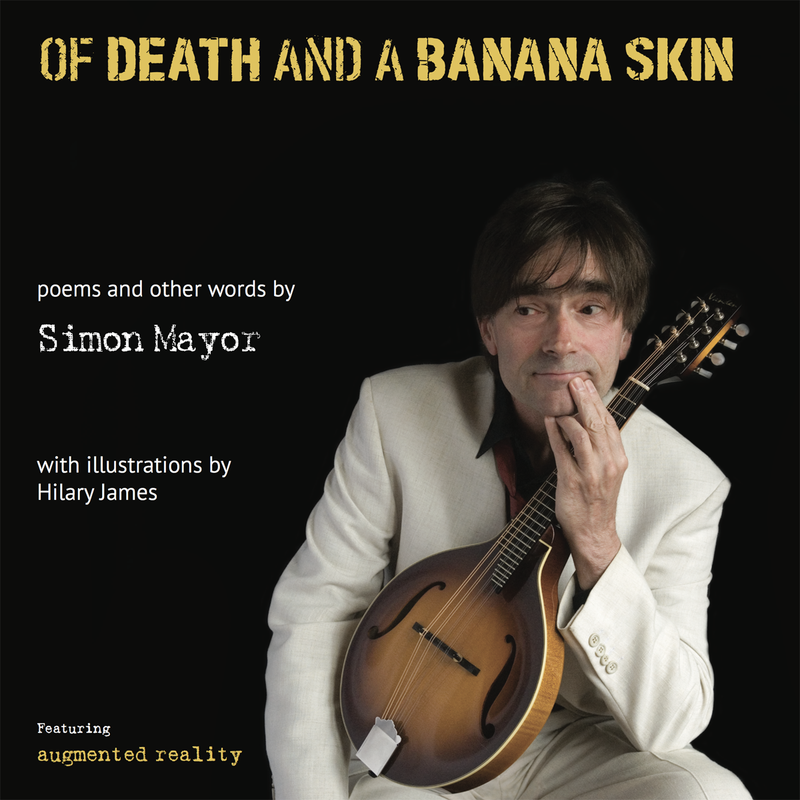 A familiar name in the rarified atmosphere of planet mandolin, maestro Mayor swaps plectrum for pen in this first anthology of words. In verse and prose, and with wit, warmth, poignancy and intelligence, Mayor offers down-to-earth observations of his native and adopted haunts, laced with preposterous accounts of the haps and mishaps of his musical profession. The sticks and stones of the Yorkshire Dales, the delights of Reading, the quirks of Hay-on-Wye, the castles of Cleethorpes (sandy ones), noisy nights and country kissing all covered with perspicacity and humour! ~ Many pages coming to life on your smartphone or tablet with augmented reality.